Definitions and examples of Gallbladder Ultrasounds are presented in two views. An ultrasound of the gallbladder uses high frequency sound waves to create a live image from inside of a patient’s body. It is a painless test that is very commonly used in the medical field today. An ultrasound is also sometimes referred to as a sonogram, diagnostic sonography, or ultrasonography. The medical professional that performs an ultrasound is called a sonographer. An ultrasound of the gallbladder is best performed after fasting as eating shrinks the gallbladder making it more difficult to view small gallstones. A gallbladder ultrasound can be used to guide doctors or surgeons during a procedure, such as a biopsy. They are important in planning for certain types of therapy and surgery, as well as in the aftermath to determine whether the patient’s body is responding to treatment. A gallbladder ultrasound can diagnose gallbladder disease. 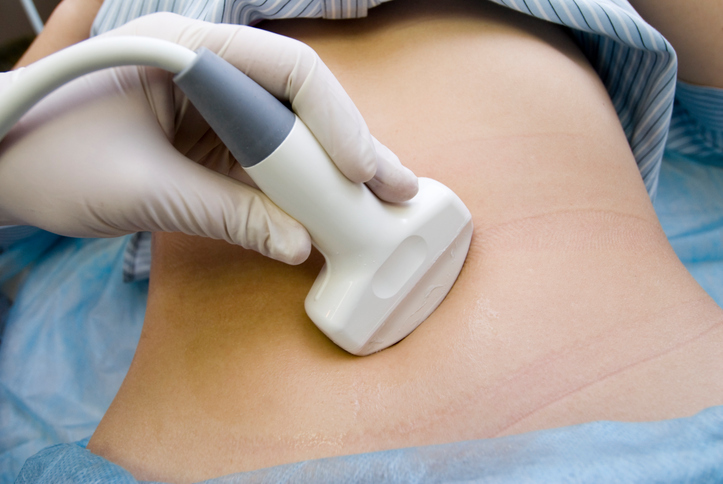 An ultrasound of the gallbladder may diagnose gallstones or gallbladder inflammation. A gallbladder ultrasound can diagnose gallbladder cancer. Gallbladder ultrasounds are painless and done fore a varitey of reasons.